There is a point when technology goes so far, it actually becomes inconvenient. Take those flat rectangles smartphones we are constantly placing against our face to make a call. The old phones were easier to hold, hear, and speak in a clear voice. 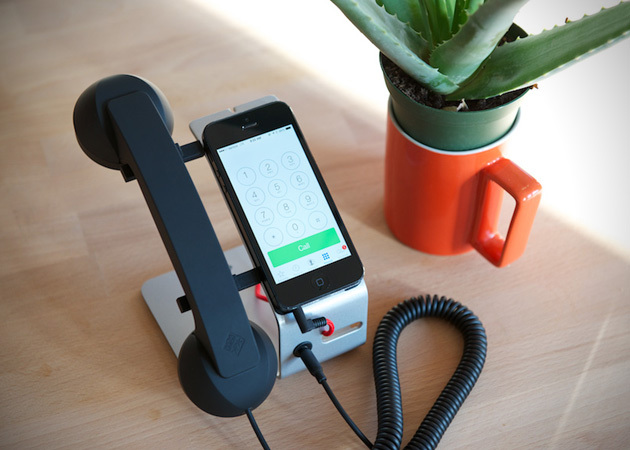 Introducing the Pop Desk Phone by Native Union, which can turn your Apple iPhone into a handheld office phone that can answer at pickup, disconnect at hangup, features noise reduction, and works with a variety of software, including Skype and Google Talk.